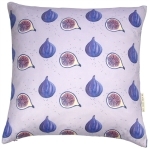 Fig cushion - Luxury Cotton Cushion Featuring Hand Painted Fig Design, , Part of The Exotic Fruits Collection, , - Fig print Luxury cushion -, Purple -, 50cm x 50cm -, 100 percent, Cotton -, Duck Feather Filling -, Hand Painted Design -, Concealed Zip -, Made in Great Britain from The After School Club Design. 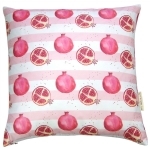 Our debut Exotic Fruits collection of luxury cushions feature hand painted watercolour fruit designs printed on 100% cotton sateen using environmentally friendly inks. 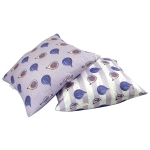 These luxury cushions are hand made, have a concealed zip and come with a duck feather inner. 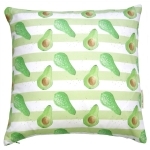 There are four different designs in the collection; Avocado, Fig, Papaya and Pomegranate in complimentary plain and striped pastel tones of green, purple, yellow and pink. 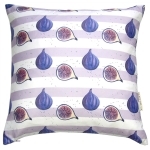 British made designer luxury cushions for your home. 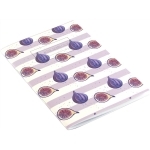 featuring the Exotic Fruits collection of hand painted designs. 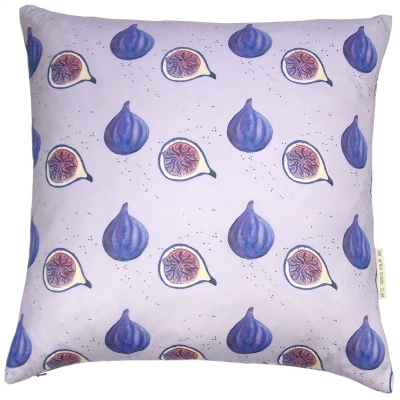 Luxury Cotton Cushion Featuring Hand Painted Fig Design. 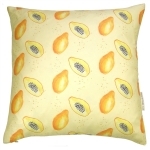 Part of The Exotic Fruits Collection. 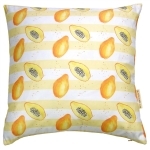 To keep the prints looking their best, we recommend dry cleaning your cushion covers. Alternatively you can machine wash them cold, inside out, ideally in a drawstring bag or a pillow case. 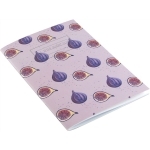 Please note that the size quoted is that of the feather inner. 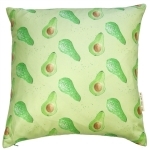 The cushion cover size is slightly smaller to ensure a snug fit and plump appearance. 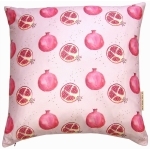 Each cushion is handmade therefore dimensions may vary very slightly.